Corporate CTO & GM Greetings! Welcome to the R&D Centre, Hitachi India Pvt. Ltd.
Hitachi, in line with its credo and foundation of Harmony, Sincerity and Pioneering Spirit, bears a profound meaning. 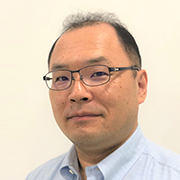 This spirit represents the core values and beliefs of Hitachi and is aimed towards the betterment of the society through innovative developments of high end technological products. Since setting down our foot in the year 1910, we are striving towards a society that is more sustainable, progressive and prosperous. Such initiatives are realized by working with our customers to perceive their needs and challenges in a sound manner. This has been the force behind the R&D Centre of Hitachi India: ‘Let’s become bigger, stronger and more sustainable’. To innovate technologies to aid in the development of areas such as Information Technology and Social Infrastructure. In India, Hitachi’s vision includes partnership with the government of India’s ‘Digital India’ and ‘Make in India’ initiatives. For more than 100 years, our research and development activities all over the globe have been the cornerstone of the creation of various technological platforms. This has assisted us to come up with a diverse spectrum of high end Social Innovation Business solutions. R&D Centre of Hitachi India promotes the collaborative and co-creative approach to discover solutions that will define the innovations of tomorrow. Working in close companionship with the local and global market, we find out crucial bottlenecks and offer practical solutions. 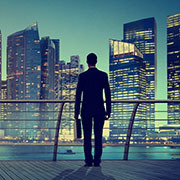 With our high-end engineering and analytics, we merge an integrative and forward-thinking process with the business units that are directly communicating with the market. Hitachi organized the Hitachi Social Innovation Forum (HSIF), New Delhi on 9th February 2018, in partnership with Business Today - one of the leading business magazine and media houses in India. The objective of the event was to contribute to expanding business opportunities in the areas of social innovation, IT/IoT, infrastructure and urban transport sector; thereby contributing to achievement of the Hitachi 2018 mid-term management plan. 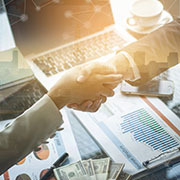 The one-day event covered Hitachi’s key business interests through panel discussions, speeches and exhibits, and was attended by more than 475 guests from outside the Hitachi group and 171 Hitachi employees. 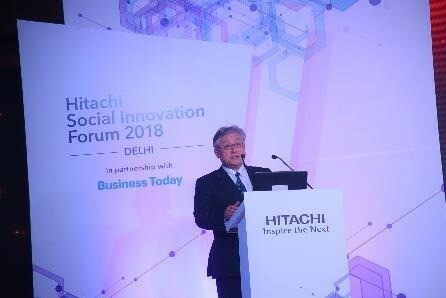 Many Hitachi Group companies including Hitachi Vantara, HCSSI, Hitachi Lift, Tata Hitachi, Hitachi India Rail, and so on, participated in panel discussions on Hitachi’s social innovation business. Hitachi India R&D Centre exhibited their technical contribution toward collaborative creation (NEXPERIENCE), and urban development for smart cities (Intelligent Transport System (ITS) and Water). They demonstrated NEXPERIENCE, a co-creation methodology including physical space, tools and methodologies that help customers discover business opportunities to create service ideas and design business models. Visitors to the Hitachi India R&D booth showed interest in application of their technology to different areas like system integrators, waste management, transportation, etc. Many visitors expressed keen interest in collaborating with Hitachi to use NEXPERIENCE. For urban development for smart cities through ITS, Hitachi India R&D Centre showcased an analytics tool for optimization of bus route planning, based on analysis of in-bus crowd and traffic congestion data. All the visitors were excited about this technology and poured-in their suggestions to explore other areas of application, such as automatic traffic synchronization and transportation by ferries. 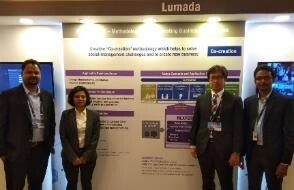 In addition, Hitachi India R&D Center presented Cyber PoC tool for water management, focusing on leakage estimation in water distribution networks to create effective solutions using Pipe Network Management System and provide comprehensive low-cost water management solutions in India. Welcome address by Mr. Higashihara President & CEO, Hitachi, Ltd.